Looking across our vast nation, we can say that our Orthodox Church has seen incremental growth, especially in the developing urban areas. On the other hand, we realize that some of the smaller parishes of our Archdiocese are either not growing or are losing numbers of parishioners. For example, the once-thriving Holy Trinity parish in Grand Island, Nebraska, is no longer in existence. While it is an exception, unfortunately, Holy Trinity is not unique. In regard to those parishes which are not increasing in membership, there has been very little, if any, outreach by the Church, due to lack of funding or lack of interest. In some cases, priests have been provided periodically through the year and for Holy Week services, but it is clear that this is merely a band-aid approach to a greater problem. Those parishes can grow if we make a concerted effort to assist them. We see from among Christians of different denominations who are leaving their congregations, or whose churches are ceasing to exist, that there is a good percentage who seek another church. We can be optimistic that the Holy Spirit is leading those who seek authentic Christianity to our Orthodox faith whose Church has preserved the Apostolic teachings which we are blessed to follow. There will continue to be a growing number of people who leave the non-denominational and other Protestant congregations which have radically changed their basic beliefs and follow all sorts of heresies and false teachings. Among them, as mentioned, there are those who have heard of Orthodox Christianity, those who realize that ours is the Church of the first millennium which has preserved the teachings of the undivided Church. A good number of people, formerly of other Christian traditions have already gravitated to the OCA and to the Antiochian Archdiocese because of their nearly exclusive use of the English language in worship. Due to our title, Greek, many of these people do not initially realize that our parishes also use English. Even so, we can say about ourselves that we have an unconscious tendency, based on self–preservation, to be a closed entity, and thus giving the false impression that we are concerned only for ourselves. One reason for this false notion is that our faith appears to be strongly connected to nationalism and not to the catholicity of our Apostolic faith and traditions. 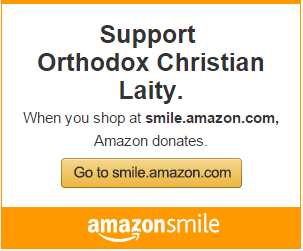 We know that this perception among many non-Orthodox is very strong in the major cities of our nation where our Greek culture appears to be strongly nationalistic. They do not see us as being under the Ecumenical Patriarch of Constantinople, which officially carries no ethnic name, but simply preserves the original language of the New Testament. The positive side of this reality is that more and more people who seek the true faith of Apostolic Christianity are realizing that the fact we still use New Testament Greek in our services is a witness to the truth of our faith and the accuracy of our translations. Because of this, it is essential for our clergy and the laity, especially in the smaller parishes, to be sensitive to the fact that an increasing number of people are looking to see if they should join us. If those people, who, we can say, are led by the Holy Spirit, do not come into our parish family, the smaller parishes will ultimately close their doors, as the parish in Grand Island did. In all of this, when we do see converts coming into our parishes, some of our core or cradle members appear to be threatened because they see themselves as losing control. Control of what? The Church belongs to Christ, not to us. Unfortunately, this biased attitude is not new in the life of the Church. In the Book of Acts we read in the sixth chapter that the Christian Hellenists (the Greeks) were complaining that their widows were neglected in the daily food distribution, while the Jewish Christian women were given better care. Fortunately, through the power of the Holy Spirit, this problem was corrected. Yet, today we see this same attitude of one-sidedness existing in some Orthodox parishes which grow to a certain point in membership and then stop. It is like a closed society or club in which new members seem to be a threat. In reality, we should desire to see our parishes continually growing in numbers, and in some places we are. This is the spirit of missions which the Holy Spirit is developing. Likewise, we are also seeing the establishment of new parishes. 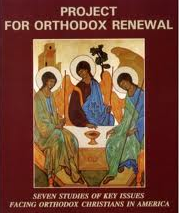 In order for new and smaller parishes to grow and to flourish, it is imperative for all of us, clergy and laity, to accept the responsibility of sharing our great treasure of Orthodox Christianity with those who are searching for Christ and His true Church. As our ancestors received our holy faith from the Jewish Christians in the days of the Apostles and thereafter, so too, they who seek Christ and His Church should receive this holy treasure from us. This divine faith is not for us to hold only for ourselves, but to share with those people of goodwill who are seeking the true Christ and His holy Church, the only Church He established by the Holy Spirit on the great day of Pentecost. It is, in fact, time to do something more, as we witness unexpected, radical events taking place throughout the world. Facing natural and man-made calamities on a regular basis, the message of the Church is so very important and applicable. It is therefore most imperative that we share the good news of our salvation through the Lord Jesus Christ and His coming Kingdom with those who are coming to our doors, thirsting for His unchanging truths and for their salvation. I’ve always subscribed to the view that the ethnic language should be used in the Liturgy in the exact same proportion as it is used in the sermon. In other words, if the sermon is 50% Albanian, then so should the Liturgy. Similarly, if the sermon is 100% English, then so should the Liturgy be 100% English. Metropolitan Isaiah, always the most practical of the GO hierarchs, is exactly correct. The 2000 year history of our church demonstrates that the “colonial model”, i.e, using the church as a cultural outpost, DOES NOT WORK. That same strategy led to the loss of the entire Middle East, as the native peoples viewed the Church as an imperial outpost. On the other hand, the secret weapon of the Orthodox has always been to acclimate to the local culture, blessing what is found there, and bringing the Good News of Christ to new cultures in their own language. This strategy led to the evangelization of the entire Slavic world 1200 years ago, and was repeated in Alaska within the last two centuries. Only in America do we refuse to acclimate. Why? We invented an alphabet for the Slavs, and the result was 250 million Orthodox adherents, worshiping to hymns by Rachmaninoff and Tchaikovsky. We have a choice on this continent. We can pursue the “colonial model” and become as extinct as the dinosaurs, or we can pursue the path described by Metropolitan Isaiah, and thrive. One would also think that the fact that the latter strategy also fulfills Christ’s Great Commission, should be of at least passing concern to us.